True conservatives agree – the Mueller report was a disgrace. This was as expected after watching two years of a sham investigation that involved leaks, lies, fake crimes and criminal actions by the gang entrusted to investigate the President and his campaign. Powell warned that the Mueller and Weissmann Trump – Russia report would be corrupt and abusive. She was right. I’m just jumping straight into it. This report is exactly what I thought it was gonna be, and it is being reacted to exactly as I thought it would be reacted to. There is no need for a 400-page report. There’s only one reason for a 400-page report, and that is to create the news environment that is occurring right now. 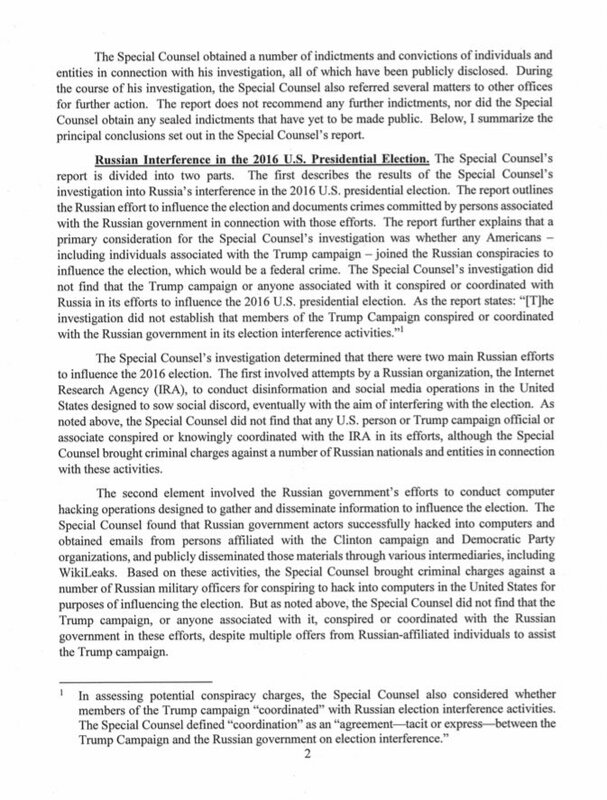 This report could have been issued in one page: We found no evidence of collusion between the Russians and the Trump campaign, period, and we don’t have enough to say that there was any obstruction of justice. You could have done this in one page, maybe two, and be done with it. But, no. I’ve had a chance to read some of this report today — by no means all of it, it’s 400 pages. 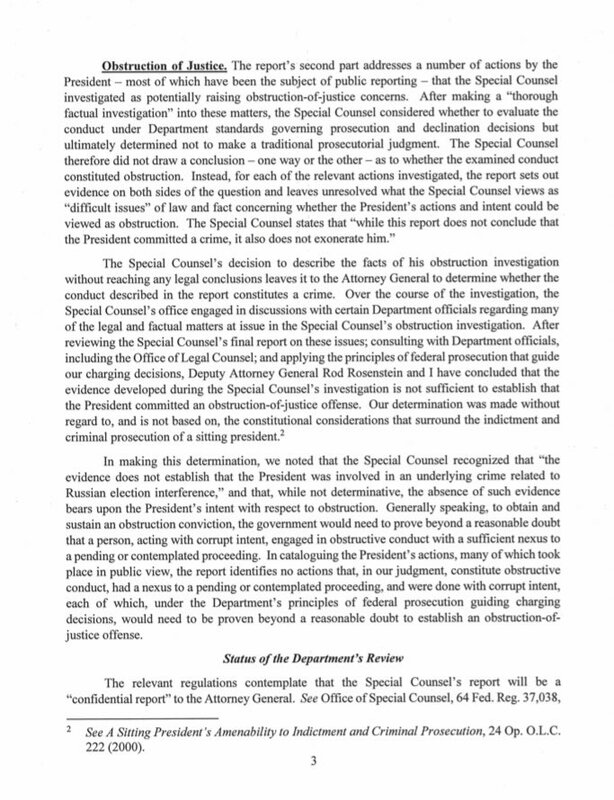 And, my friends, I’m telling you, this report is made to order for the Democrat Party to ignore what is the only important thing about this: no collusion, no obstruction, period. That’s it! But if you turn on cable news today — and it doesn’t matter what channel — all you’re going to get is ongoing discussions and reading of various excerpts from the report with expert analysts explaining how, “Why didn’t Mueller charge obstruction? Why, it’s all in here.” No, it isn’t. This entire thing is bogus from the beginning. I am unable to avoid redundancy here, folks. I’m unable to avoid repeating things I’ve said over and over. None of this actually is real, except that it is. None of this was ever necessary. There never was any collusion, and there never was any evidence of any collusion. This report is just the latest installment of the ongoing effort to convince as many Americans as possible that Donald Trump is illegitimate, that his election was illegitimate, that he’s a bad guy and that he doesn’t deserve to be president. He may not have colluded with Russia, but he sure as hell tried to get in the way of our investigation. There should not have been an investigation, is the whole point, and this wasn’t an investigation. This is the seminal point that I can make. It is incorrect to characterize what Robert Mueller’s thing was as an investigation. When Robert Mueller was shown the file, the James Comey investigation file, when he was shown that after having been named, there was nothing in it. There has never been any evidence of collusion with Russia between Trump or anybody on his campaign to affect the outcome of the presidential election. And the attorney general said so today again and again and again. And this morning before the report was released the Drive-By Media and media complex and Democrat complex were livid that Barr was gonna go first. They were livid. This was never about achieving justice for Russian election interference or obstruction of justice. It wasn’t about uncovering a grand Trump-Russia conspiracy that I doubt most Democratic politicians ever actually believed in. It was solely about weakening the president politically by whatever means necessary. As noted earlier at Gateway Pundit, Tom Fitton from Judicial Watch pegged the deep state Mueller Report for being the garbage hit piece that it was intended to be. 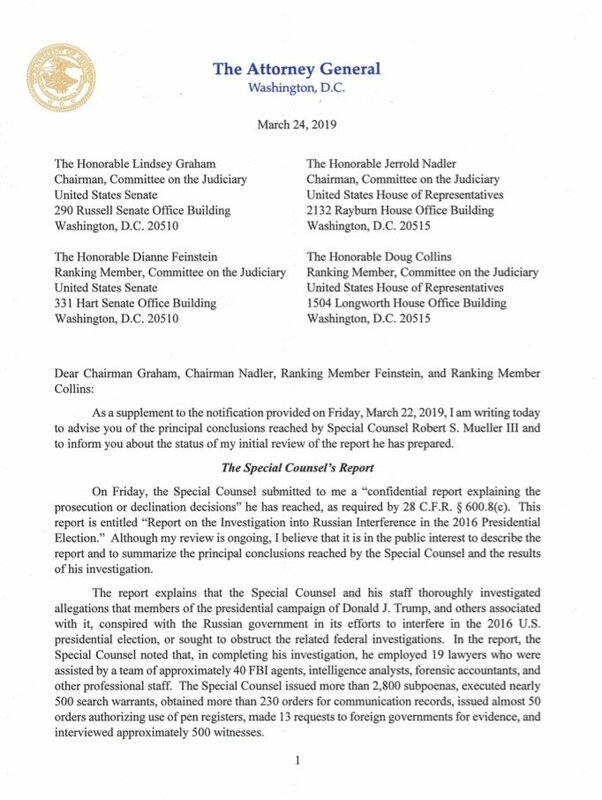 Any entry level auditor or inspector would recognize the Mueller – Weissmann report for the sham that it is. This was expected because the entire ‘investigation” was a sham. The report should have been written in a few pages listing any crimes only. Instead the Mueller – Weissmann gang show their true corrupt colors and intent by listing hundreds of pages of unnecessary innuendo and in an attempt to disparage President Trump again. If any entry level auditor or inspector provided such a report to audit or legal management they would likely be fired for wasting company expenses and time. The accusations in the report were shocking in that they were there. This was an intentional bogus and corrupt report from the most corrupt in the business – Mueller and Weissmann. The Mueller – Weissman gang want a civil war more than they want justice. What the hell are they hiding? It’s time for America to stand and demand justice and demand these two and all their criminal colluders be put in jail! Today Attorney General Bill Barr exonerated the Donald Trump campaign in collusion with Russian operatives during the 2016 election. Attorney General Bill Barr stated that the Mueller Special Counsel did not find the Trump campaign colluded in Russian efforts to tamper with the 2016 election. The Special Counsel report completely exonerated President Trump on the junk charges brought against him by a corrupt Democratic operatives inside the DOJ and FBI. This was a devastating blow to Democrats, liberal media hacks and Deep State operatives. But this is not enough! For a decade now Americans have seen the Obama Administration, the Clintons, the Clinton Foundation and Obama’s Deep State FBI, DOJ and their cohorts in the Mainstream Media and Democrat Party get away with numerous crimes. Where is the investigation into their crimes? When will Americans receive justice? Arguably the most corrupt President in US history, Barack Obama, got away with eight years of crimes while President. The list goes on and on…. giving billions to Iran, giving guns to ISIS and creating a quagmire in the Middle East, bombing and overthrowing governments like Libya, destroying American healthcare with Obamacare, giving guns to Mexican cartels used to kill American border agents, lying to the American people over and over, and then spying on the opposing party’s candidate and then attempting an coup to have President Trump removed after he won the election. Bill and Hillary also created the Clinton Foundation which is probably the most corrupt entity in US and world history. Corporations like Uranium One and AGT International donated millions to the Clintons who in turn promoted these organizations. As a result 20% of US uranium went to Russia (Uranium One) and some of the US’s most advanced defense technology went to Russia and China (AGT International). Where are the investigations into Obama and the Clintons? The level of anger from good Americans for not seeing any justice regarding the former corrupt President and his corrupt Secretary of State is at record heights. Americans want justice – Will America be a banana republic or will it stand for ‘justice for all’? It’s time to address Americans’ concerns. Another Internet sleuth has come to the rescue. An article on the net entitled “The Mechanics of Deception” outlines a length list of observations within a masterpiece of analysis on the fake dossier that impacted our country so greatly these past few years. The following observations are taken from this March 2018 post. Systemic Writing Style – Who wrote the report? Once I had a good baseline and a stylistic fingerprint, I proceeded to analyze the individual reports. From the sample below, we can see that despite Steele’s claim that he wrote the document, (images below), it is almost certain that it was written by another person(s), likely a foreign source, possibly Baumgartner, or Ohr. The writing style fits their writer profile in multiple categories. There are, however, a few anomalies in the data (see last image) that indicate that some of the content—especially the latter reports that are written in an American English and have ‘talking point’ style—have been written by another unidentified author(s). The post goes on to identify multiple anomalies with the dossier and those related to it. The dossier was a scam and a fake. The individuals who are tied to it are very dishonest and hate Trump and all he stands for. This was a sham and all the perpetrators should be brought to justice. 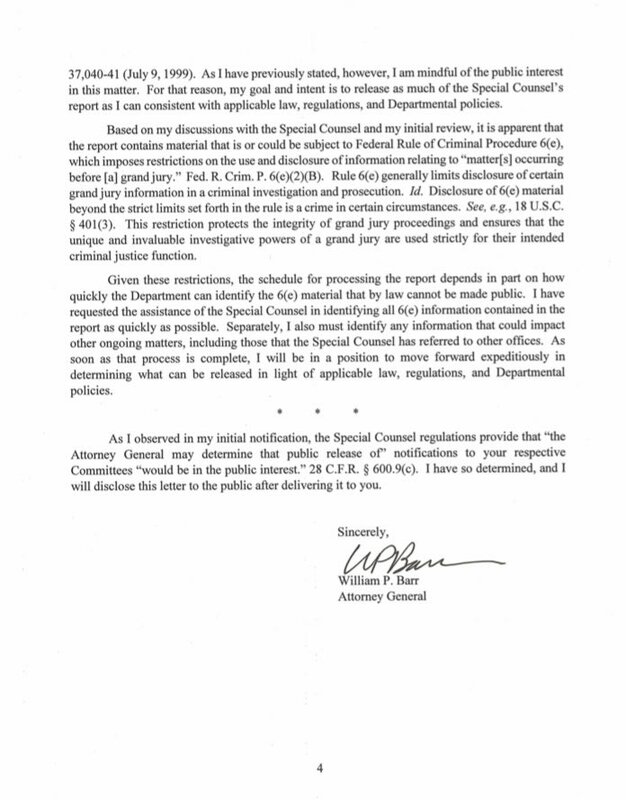 Sorry Crazy Dems and MSM – AG Barr Explained – No Case for Obstruction Without Collusion – It’s OVER!